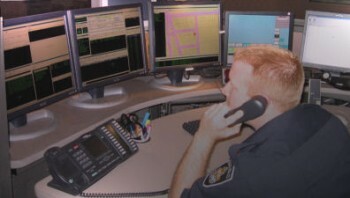 Symposium is proud to announce that Niagara Falls (Canada) Fire Department is now live with Symposium’s Horizon EME. The Niagara Falls Fire Department serves one of North America’s busiest and best known tourist destinations, protecting a population of approximately 80,000 full time residents and dispatching a multitude of major apparatus and support vehicles from 6 halls. The department is composite in nature, with approximately 100 full-time and 100 volunteer firefighters, each with their own separate areas of response. Aside from the tourist trade (which brings an estimated 20 million additional visits per year to the region), there are a number of other factors that make the department’s incident responses more challenging, including the size of the area covered (81 square miles), the high concentration of industry, heavily traveled rail and highway corridors, and unique natural features like the Niagara River and gorge. As part of the installation, the Symposium CAD was integrated with a number of third-party systems that extend its capabilities and effectiveness. The integration with Ingenious Software’s FIREPRO™ RMS provides personnel with full transparent real-time access to critical premise information, as well as providing for automatic population of incident response information for OFM reporting. FIREPRO™ is the RMS of choice for an increasing number of Canadian fire departments, and Ingenious Software has developed a strong reputation as a responsive and pro-active vendor. As per our standard approach, Symposium has worked with Ingenious Software to ensure departments have the ability to use Symposium systems with their existing FIREPRO™ RMS solution. Another integration involved Fire Monitoring Technology International’s Inc.’s OPEN ACCESS™ system. OPEN ACCESS™ is a versatile and innovative system which has been used very successfully by fire departments to improve response times to fires by an average of two full minutes (validated through independent testing), and allows any alarm vendor wishing to participate to feed fire alarm signals directly into the fire department CAD system without requiring the installation of any additional equipment at the fire department. Now, thanks to the new interface, fire alarms received through the OPEN ACCESS™ system at Niagara Falls automatically generate an incident in the Horizon EME, enabling for quicker, safer, and more effective notification and response. Yet a third integration is with the department’s paging system. Now, critical incident alerts and call information are sent to volunteer personnel directly from the CAD, via their standard-issue alpha numeric pagers. Again, the result is a more rapid, safe, and effective response. Taken together, these integrations provide a fully coordinated incident response system that ties together the department’s various technologies, reflects their unique needs and workflows, and can be extended in the future to other departments in the region.